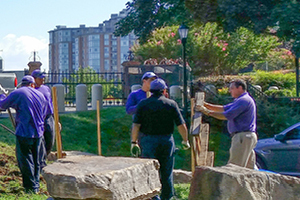 The Connecticut Grounds Keepers Association is the leading horticultural, agricultural and landscape business association in the state. Our green industry members include lawn maintenance & landscape contractors, arborists, irrigation firms, pavers, pest control, masons, nurseries & garden centers, turf farms, landscape designers, suppliers and allied businesses. The CGKA members are professionals, who uphold the highest standards in horticulture, environmental practices, agriculture and the landscape business. Members are Validated to prove that they are state registered, licensed (if applicable), certified, insured and continue to advance their knowledge through safety, business development and licensing workshops. Landscape installation work, including sprinkler systems and maintenance, can cost thousands of dollars. Using a qualified, professional contractor is a must to get value for your money and to help ensure a return on investment and increased property values. The CT Grounds Keepers Association (CGKA) recommends the following advice in choosing the right contractor and services for your landscape. Consider design services, plant selection, construction, and maintenance. Decide if you plan to care for the landscape yourself or if you prefer to have a contractor provide the ongoing maintenance. What certifications and professional affiliations do the company and/or employees hold? Find out how they incorporate industry best management practices. Does the firm intend to use subcontractors? Get proof of insurance for liability and workers' compensation, and ask what local licenses and permits will be required. Do they follow industry best practices such as those in the CGKA code of conduct? Dress: Typically company crews wear a company shirt so you know that person is supposed to be on the job site. They are also equipped with boots and PPE (personal protective equipment). Promotional Materials: Professional contractors will come prepared with business cards, brochures, and a quality portfolio. They can also provide a website address for more information. Contracts and Design: Professional contractors will create designs that show you what you're buying. The bids are detailed and complete, and the contracts spell out the work, payment plan, and how to handle disputes, if they arise. Trucks and Equipment: Trucks and equipment are kept clean, labeled with the company name, and look well maintained. Checking in: Good contractors follow-up a couple months after the project is done to make sure you are still happy. Professional Affiliation: CGKA member companies don't just belong to our association, they get involved. They join up with other organizations too, because their members are the people we work for! Visit current in-progress jobs. Not only can this be fun, but you can view the crew's appearance and job site to see if they are generally tidy. (Remember that construction sites will not be pristine). Check with the Better Business Bureau. If there are complaints, read them to see how they have been resolved. Did the contractor display good work habits, return calls promptly and keep appointments? 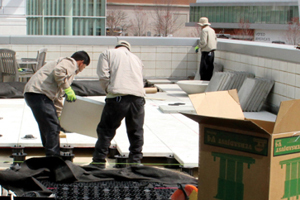 Did the contractor honor the contract and respond to concerns expressed by the customer? Would the customer hire the firm again? Professional firms will have written estimates and contracts that include the scope of work, estimated time of completion, total costs, payment methods, warranties, and possibly dispute resolution options should a conflict arise. Review the contract carefully before signing.